The topic of estate planning usually conjures up thoughts of wealthy people with complicated situations. But if you own any kind of property (a house, car, registered retirement savings plan, life insurance) then you have an estate and as a result, you should also have a plan. It doesn’t really matter the value of your house, car, RRSP, or life insurance policy, and it’s amazing, especially with life insurance, what that number can add up to, so sometimes people who have very modest incomes can have estates of a half-million or a million dollars. 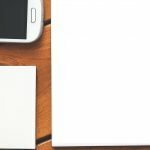 We recommend that every person keep a record of all your assets, make sure that you have your property titled correctly, and also make sure that you have the beneficiary arrangements set up properly, especially life insurance through work which many times gets overlooked, and in the event of marriage, a divorce, or the death of a beneficiary those don’t get changed. How your property (such as a house and car) should be titled depends on your marital situation, but typically married couples want to have property titled joint with right of survivorship, so it’s important to check your deed to see if your home is titled this way. For your car, you may want it titled in both names so it will make it easier for it to pass to the other person in the event of a death. For bank accounts, you can have a beneficiary designation to transfer on death or payable on death. 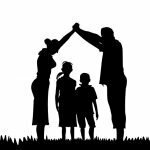 Although sometimes you can’t avoid probate, life insurance and other registered products such as RRSP’s with beneficiary designations will pass by contract. If property is titled in just your name, then it will have to go through probate. Documents that are important to have regardless of your estate size: (1) a will is the first document that you need and a will is your opportunity to designate who gets your property; (2) a continuing power of attorney for property is the next important document and this document gives someone the right to make financial decisions for you if you are incapacitated or from a convenience perspective; for example, you could be traveling or out of the country and maybe the cell phone provider needs to be changed or your spouse needs to make a financial transaction – with a power of attorney for property he or she will be able to do that; (3) another important document is the power of attorney for care and this document gives someone the authority to make healthcare decisions on your behalf. We recommend that all of these important documents be kept in an organizational binder or envelope, including birth certificate, marriage license, divorce decree, passport, passwords, insurance papers, legal documents that we all have to keep up with, and it’s all located in one binder or envelope so that in the event of an emergency, such as a fire, you know where that is and can grab it and run out the door. We recommend that you put it in a fireproof safe at home or a bank security box. The Law Office of Robert Molinari can help draft your will, power of attorney for property, and power of attorney for care. Start now with a free consultation. While each person’s situation varies, here are the top 12 reasons to have a will. A will lets you determine how you’d like your estate to be handled after your death. If you die without a will, there is no guarantee that your wishes will be carried out since your estate will be distributed according to provincial legislation. 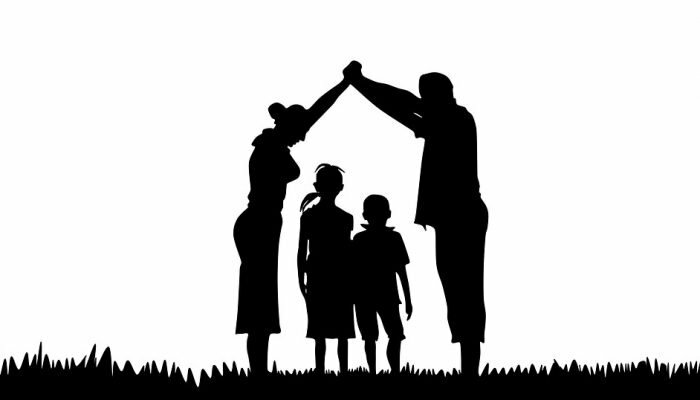 A will allows you to make an informed decision about who should take care of your minor children. Without a will, the court will take it upon itself to choose among family members or a provincially-appointed guardian. Having a will allows you to appoint the person you want to raise your children and ensures it’s not someone you don’t want to raise them. 3) Avoid a lengthy and costly probate process. Having a will reduces costs and speeds up the probate process as it informs the court how you’d like your estate divided. Probate courts serve the purpose of “administering your estate”, and if you die without a will (known as dying “intestate”), the court will need to decide how to divide your estate without your input, which can cause unnecessarily long delays and expense. A will allows you to minimize your estate taxes, so your loved ones will get the most out of your estate. In Ontario, there are two types of taxes payable on death, income tax and estate administration tax, commonly referred to as probate fees. Both types of tax can be minimized with proper planning. For example, probate fees may be reduced by making appropriate designations on registered plans such as RRSP’s and life insurance policies. 5) You decide who will wind up the affairs of your estate. 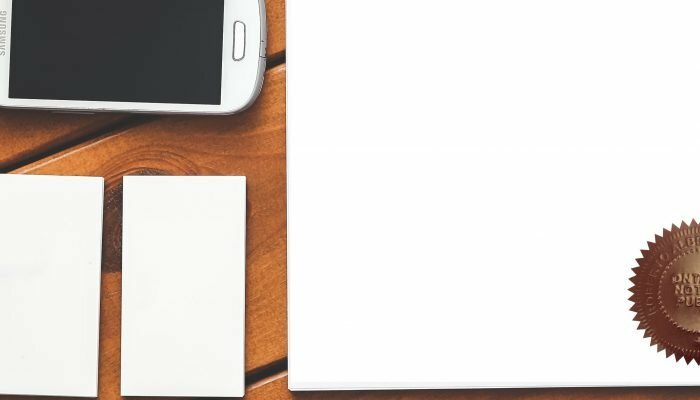 Executors make sure all your affairs are in order, including paying bills, canceling credit cards, and notifying the bank and other business institutions. Because executors play the biggest role in the administration of your estate, you’ll want to be sure to appoint someone who is honest, trustworthy, and organized (which may or may not always be a family member). 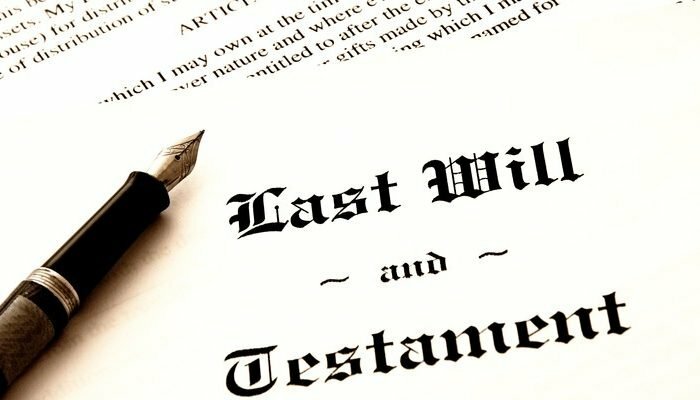 6) You can disinherit individuals out of your Will who would otherwise stand to inherit your estate if you die without a will. Because wills specifically outline how and to whom you’d like your estate distributed, absent a will your estate may end up in the wrong hands or in the hands of someone you didn’t intend (such as an ex-spouse). 7) Make gifts and charitable donations. The ability to make gifts allows your legacy to live on and reflect your personal values and interests, and also has tax benefits which increases the value of your estate for your heirs and beneficiaries to enjoy. 8) Avoid greater legal challenges. If you die without a will, part or all of your estate may pass to someone you didn’t intend. In one case, a father who wasn’t a part of his son’s life for years stood to inherit his deceased son’s estate leaving close relatives and siblings out of the picture. 9) Because you can change your mind if your life circumstances change. You can change your mind at any time while you’re still alive and meet the legal mental capacity test to make a will. Life changes, such as births, deaths, and a divorce, can create situations where changing your Will are necessary. 10) You plan to get married. In Ontario your entire Will is automatically revoked or cancelled once you get married, unless it was made with the marriage in mind. 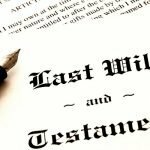 If you don’t make a new will, upon your death you will be considered to have died intestate and the rules under provincial legislation will apply. 11) A separation or divorce. A divorce revokes the provisions of your Will that refer to your former spouse, so your former spouse will no longer be your executor, trustee or guardian, and any gifts you left to your former spouse will go to someone else depending on the structure of your Will. Because it can get confusing, you should consider making a new will if you get a divorce or separate from a common-law partner. 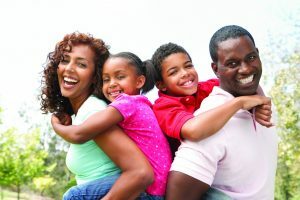 Also, in most cases beneficiary designations, for example, for RRSPs, RRIFs, life insurance policies, and pensions are not affected by a divorce or separation from a common-law partner, so you’ll have to take steps to remove a former spouse or common-law partner as the beneficiary to prevent them from receiving the asset. 12) Because tomorrow is not promised. Sometimes the realization that wills are necessary comes too late – such as when an unexpected death or disability occurs. To avoid the added stress on your loved ones during an already emotional time, it may be wise to meet with a Will and estate planning lawyer to help you draw up a basic estate plan at the minimum, before it’s too late. The Law Office of Robert Molinari can help you craft your wishes into a legal document. Start now with a free consultation. Most people find navigating family law issues to be a complicated process, and they’re grateful to have an experienced family law practitioner help guide them through it. Here are 5 reasons to hire a family law lawyer instead of representing yourself on your family law case. 1) You’re unfamiliar with family law or family court. Family law is a specialized area of the law. A family law lawyer, especially an experienced one, can help minimize the emotional and financial costs of litigation by obtaining an optimal result if at all possible at an early stage of litigation, or avert litigation altogether through far less expensive and time consuming alternative dispute resolution methods, and draw-up a legally-binding domestic contract. If you’re not adequately versed on this area of the law, what documents you need and how to complete them, or don’t know the various procedural requirements, you may jeopardize your case and end up with an undesirable outcome which may cause you further, unnecessary emotional and financial hardship. 2) You need objective advice during an emotional time. It’s difficult to make life-changing decisions about yourself and your family when under stress. It’s easy for self-represented parties to say or do things that come off as argumentative, aggressive, or vindictive; a family lawyer creates a buffer between you and the other side, and can prevent you from allowing your emotions and lack of impartiality to sabotage your case. A good family law lawyer will separate themselves from the emotional side of a case and will also let you know, given the circumstances of your case, if you’re being unreasonable as to what is possible and what is not. 3) A family law lawyer can suggest options and solutions you didn’t even know existed. A family law practitioner can evaluate your case, offer the best available dispute resolution method for your situation, and let you know the likely outcome if you proceed to court. If you represent yourself, you may agree on settlement terms that are unworkable or unfair which may cause further problems down the road. A family law lawyer will help you create a reasonable and workable settlement proposal; if the proposal is coming from the other side, your lawyer will let you know whether to settle, make a counter-proposal or fight it out in court. Going through a separation or divorce involves a lot of paperwork to be filled out, served on the other side, and if your in court, filed. Knowing which forms you’ll need for your situation can be confusing, However, producing full and timely disclosure is crucial, since they will be relied upon to decide the outcome of your case. For example, using the wrong numbers, tone or words, or omitting something, could result in the judge perceiving you as careless, combative, or trying to hide information — which will damage your credibility and by extension your case. A family law lawyer knows what forms you’ll need, and how to fill them out properly and persuasively, increasing your chances of an optimal outcome. 5) A family law practitioner can help you focus on the Big Picture. A good family law lawyer will focus on creating the best deal possible — which may mean helping you to compromise on some issues so that you can get more of your “must haves.” An experienced family law lawyer will guide you through the process, pursue your interests and needs, minimize unnecessary stress and costs, and give you the peace of mind and confidence to move forward with your life. The Law Office of Robert Molinari can help guide you through every step of the family law process. Start now with a free consultation.